Showcase your love of rustic industrial style with this dresser and mirror set. Constructed from solid wood, the dresser is treated with sand-blasting, wire brushing, and saw marks for an authentic rustic look and feel. Splayed metal legs add industrial appeal, while clean lines and asymmetrical drawers speak to modern minimalist style. Six drawers provide ample storage space, while a landscape mirror with beveled glass completes the set. 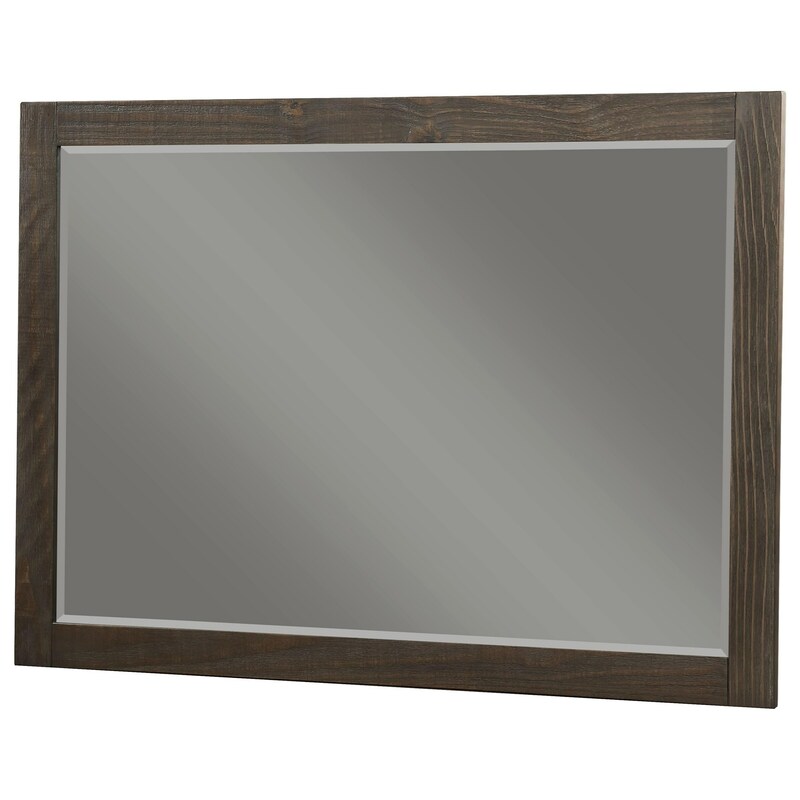 The Nevada Rectangular Solid Wood Mirror by Modus International at Michael's Furniture Warehouse in the San Fernando & Los Angeles area. Product availability may vary. Contact us for the most current availability on this product.